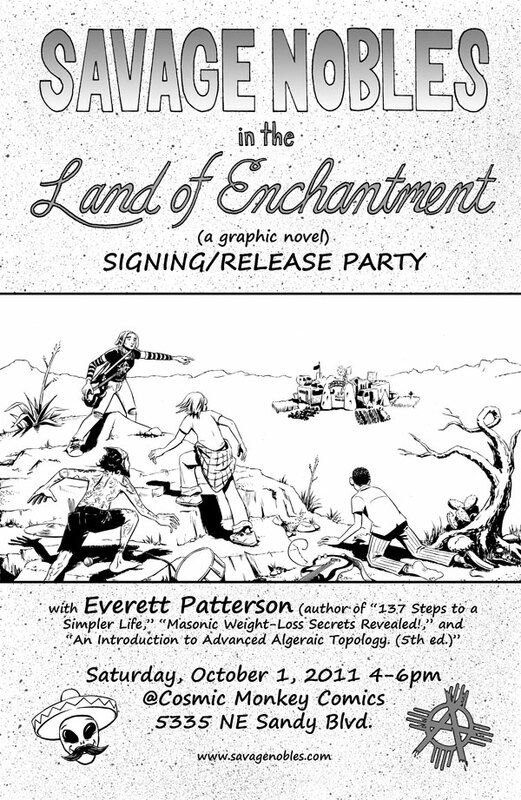 Savage Nobles in the Land of Enchantment - Book Release! Hey guys, I just wanted to make sure that everyone who reads this blog knows about my book release party on Saturday, October 1st. Cosmic Monkey Comics was already my favorite comic store in Portland long before they agreed to host this event. I will probably be spending my money there as fast as people are handing it to me! If you are on facebook, RSVP to the facebook event page. It doesn’t actually matter, but it strokes my precious ego and lets your friends know that you read good comics. Hope to see y’all there!